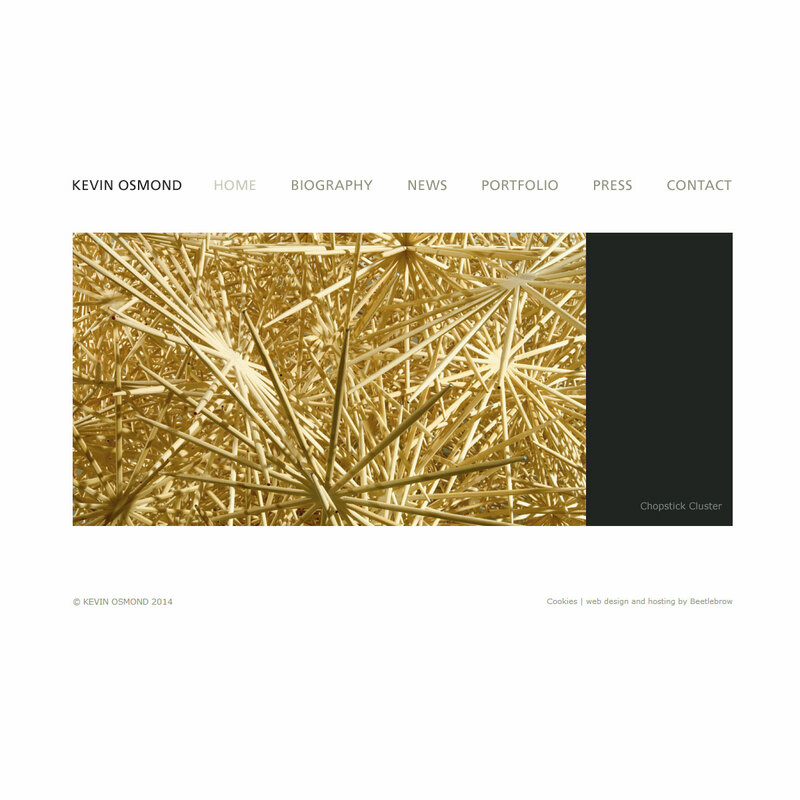 Kevin Osmond is widely established in the art world and commissioned Beetlebrow to explore new ways of presenting his work online. Updating an existing and still very good looking web site, Beetlebrow aided Kevin to create a new online gallery to showcase his work and a fresh new site which reflects his current work. This clean simple design with its wide screen format allows the work to speak for itself. Kevin is a meticulous and experimental artist, he transforms the mundane into the mesmeric, providing an escape from the realities of everyday life into an idyllic universe. He creates his visionary 'scapes' and explosive structures in an attempt to explain the world around us. Beetlebrow have enjoyed helping him towards this vision and the result is a testament to the understanding of his requirements. Kevin had a large exhibition in New York during Feb/Mar 2010.